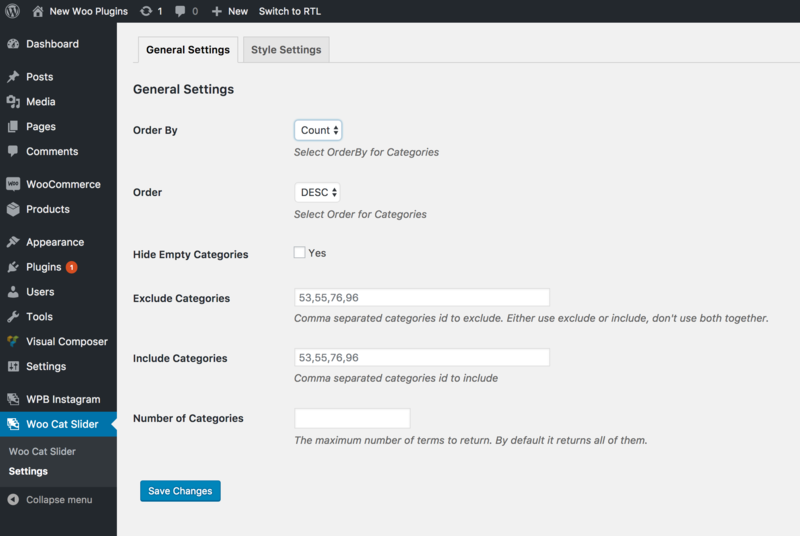 General Settings : From here you can customize the plugin settings like – OrderBy, order, hide empty, exclude, include, number of categories to show. 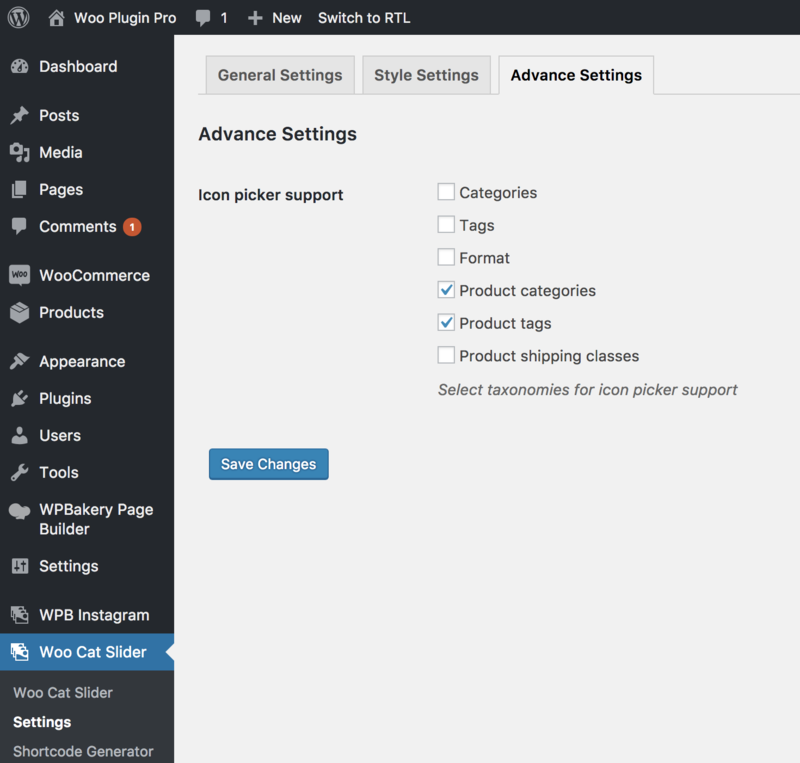 Style Settings : From here you can customize the all the style of this plugin. 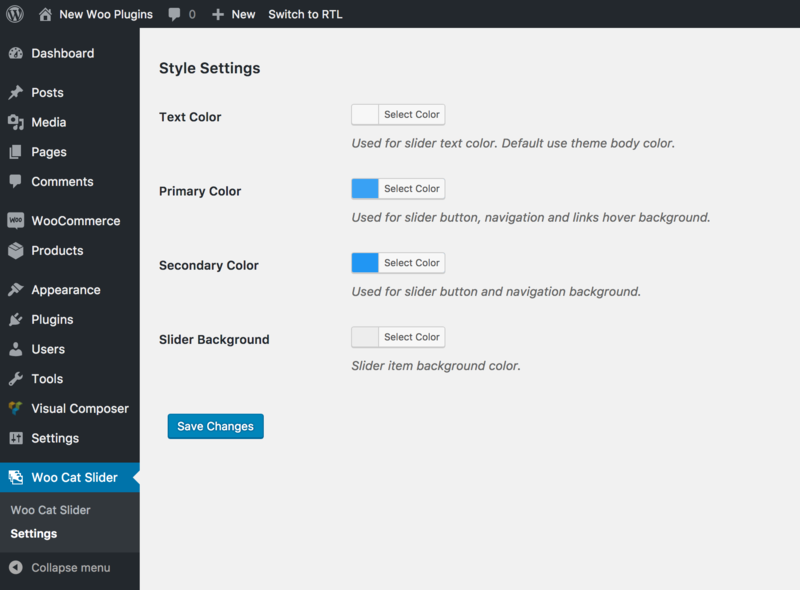 Slider text, link, background color can be adjust from the settings of this plugin. Advance settings for Pro version only. Pro version allow you to add category icons and show them in the slider. Pro version also allow you to use any other custom taxonomy or category instate of product category. So you can check here to which taxonomy or category need icon picker support.